Winesday with Gary Vee: a White Burgundy Sure to Make Shellfish Sing! "Nothing says summer like some mollusks. I absolutely adore shellfish of all kinds, especially west coast Kumamoto oysters. 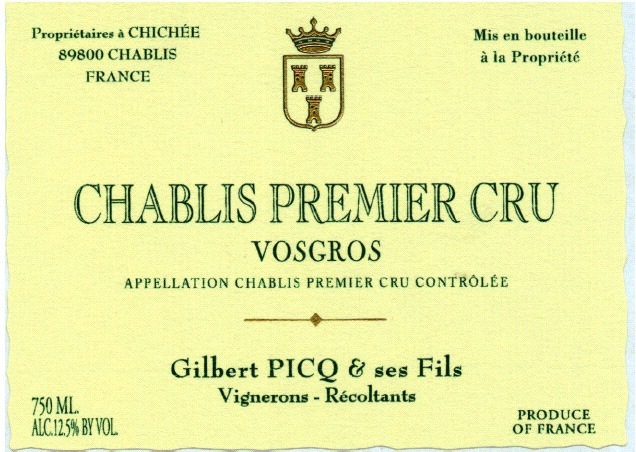 Now, this pairing might sound cliché… and as a general rule, I think it’s overrated… but this 2009 Gilbert Picq Vosgros Chablis 1er Cru is a quintessential “oyster wine”. It’s got great viscosity and weight, but all the acid to keep it food friendly. Many wine writers have criticized the 2009 vintage in White Burgundy for lacking acid for long term aging, but this wine will age into the next decade, no problem. I tasted more than fifty 2008 & 2009 White Burgundies in my most recent newsletter, and no other bottle was better fit for summer afternoons with a half-dozen bivalves!" Gary's tasting notes: "Aromatically a little more interesting than the village level, with some fresh lychee and grassy components. 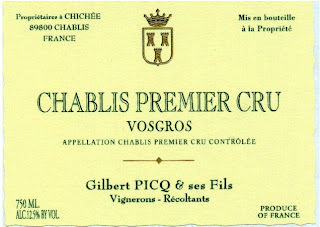 Then on the palate this wine has beautiful viscosity and extremely focused fruit. I love the mid palate transition to the finish, which make it a very technically sound wine... like John Stockton in basketball. It also has wonderful integration of flavors. Word on the street is that the '09 Chablis don't carry the same acid that the '08s, however this wine will fool you into thinking otherwise. Cellar it 10-15 years easy. Picq continues to peak." Guilty Pleasures: Strawberry Cupcake = Summer on a Plate! The Glamorous Gourmet is here to brighten your Monday with the latest installment of Guilty Pleasures! I came across this little gem at All Star Cupcakes in Boca Raton and, I have to say, it is essentially Summer on a plate! This delightful strawberry cupcake is deliciously pink, perfectly sweet and even has actual fruit on top to balance out the "guilty" - what's not to love about that? It was so yummy I was inspired to break out the Wedgwood for the photo. I think Aunt Mary would definitely approve! All Star Cupcakes bakes their cupcakes fresh every day and makes all kinds of delicious flavors including S'mores, Chocolate Chip Cookie Dough and Red Velvet just to name a few. If your week is off to a slow start or if you have a Summer Soiree or luncheon coming up, swing by and pick up a few of these lovelies. I guarantee they will be very well-received! What's your favorite cupcake flavor? "Just for the Grill of It: Wines that Pair with your Favorite Grilled Fare!" 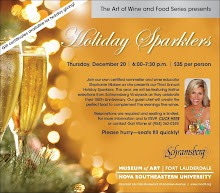 I am happy to report, last night we kicked off the first event of our Second Annual "Art of Wine & Food" Summer Series at the Museum of Art Fort Lauderdale! Entitled "Just for the Grill of It," the evening featured wines that are perfect for pairing with Summer's mouth-watering grilled fare. The wines were complemented by delicious dishes created by the talented Chef Chris Golas of Hugh's Culinary. When selecting the wines and envisioning my backyard full of friends and family for a day of poolside grilling, three criteria came to mind: (1) the wines had to be approachable and appeal to a variety of palates; (2) they had to be food-friendly and capable of standing up to the variety of fabulous flavors and (3) affordability - why pop the cork on that $50+ bottle of California Cab in blazing 95 degree heat and risk Uncle Bobby pouring half the bottle into his bright yellow Solo cup that still has a half inch of beer in it? Sometimes it's wise to not only pair the wine with the food but also the occasion - just sayin'! This Zin has a lovely smoky purple color and aromas of ripe blackberry, plum and chocolate. On the palate, mouth-filling flavors of black cherry, blackberry and spice are accompanied by appreciable tannins and a noticeable “heat” from the alcohol which clocks in at 15%. Enjoy this wine paired with grilled meats, pork, blue cheese burgers and barbecued meats. This 100% Shiraz has an opaque ruby color with just a tinge of brick/orange around the rim denoting it age. This wine had aromas of blackberry, leather and spice followed by flavors of blackberry jam, plum and spicy black pepper. This is a juicy, full-bodied red with well-integrated tannins and weighs in at 13.5% alcohol. Enjoy this wine paired with grilled pepper steak, burgers and barbequed dishes. Please join us next month at the Museum for "The Rosé Lifestyle of St. Tropez with Château D'Esclans" which will be held Thursday, July 28th. We are very excited to have guest speaker Paul Chevalier, National Fine Wine Director for Shaw-Ross International Importers joining us to take us on a sensory tour of these delightful rosés. I look forward to seeing you there! 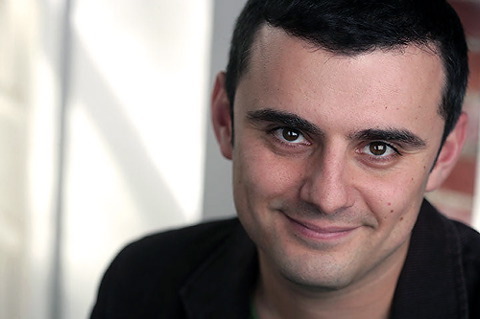 Winesday with Gary Vee: A Fabulous Sparkling Wine for Summer Sipping! 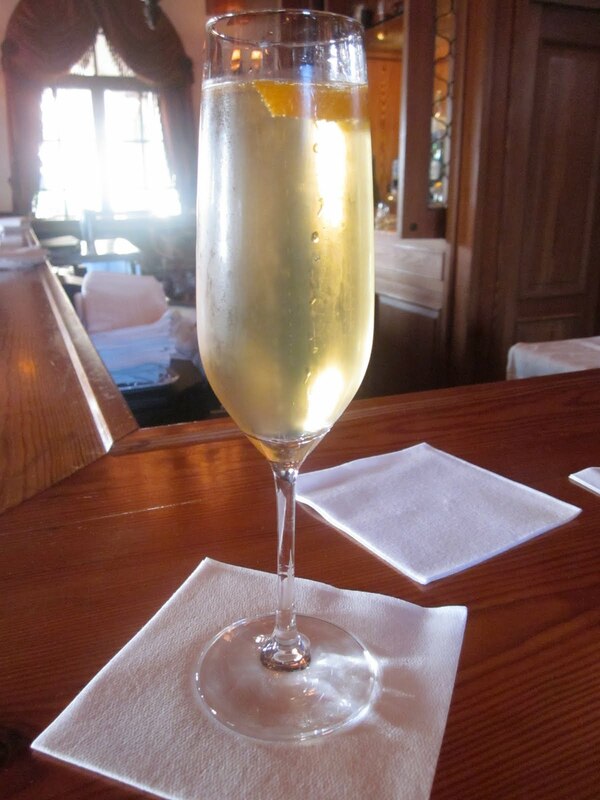 "With the summer weather you're going to want to drink something fresh and lively. Cavas are produced in the same method as Champagne at a fraction of the price. Many can be hit or miss, but this one both has a friendly price tag and impressive structure for its price point. Lounging by the pool or cooling off after mowing the lawn…this wine is a no brainer." Gary's tasting note: Tight nose, not showing much and not nearly as aromatic as the other sparkling roses. But a subtle elegance and complexity, just a preview of strawberry fruit. Very complex fruit, quite earthy with beets along with rose petal and ripe black raspberry flavors dominate this complex bottle of bubs. I like the finish and mouthfeel, and in general I'm impressed. Not knowing what it costs when I taste it, if this wine is $20 or under, I might text my friends to pick up a bottle. (Trouty just told me this is only $15. Winner winner, chicken dinner. I think everyone needs to add this to their wishlist). 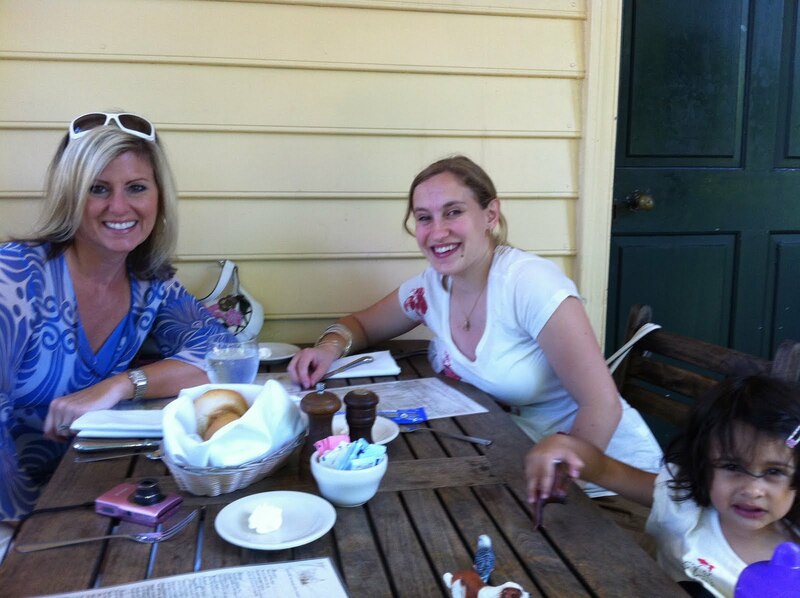 A Day in Old Salem with the Fabulous Rebecca Subbiah of "Chow and Chatter!" A few weeks ago I had the pleasure of meeting someone in person I had "known" online for about two years. She is a familiar face in the "foodie community" here on Blogger and I am sure most of you already know her, the fabulous Rebecca Subbiah of "Chow and Chatter." Rebecca has been an inspiration I think to many of us who have been at this blogging thing awhile. She has "led the charge" in many ways, not only in posting delicious recipes on her site, but also demystifiying alot of the technical stuff such as blog optimization, increasing page rank and yes, she has even developed an amazing app full of mouth-watering and health-conscious recipes on iTunes. Did I mention she is also a Registered Dietitian, expat from the UK and Mom to the adorable Jasmine who I had the pleasure of meeting on our day in Old Salem? Well, consider yourself "in the know." The three of us had a wonderful lunch at the Old Salem Tavern in Winston-Salem, North Carolina. I happened to be in town visiting family and conveniently, Rebecca lives in the area and was kind enough to show me around. 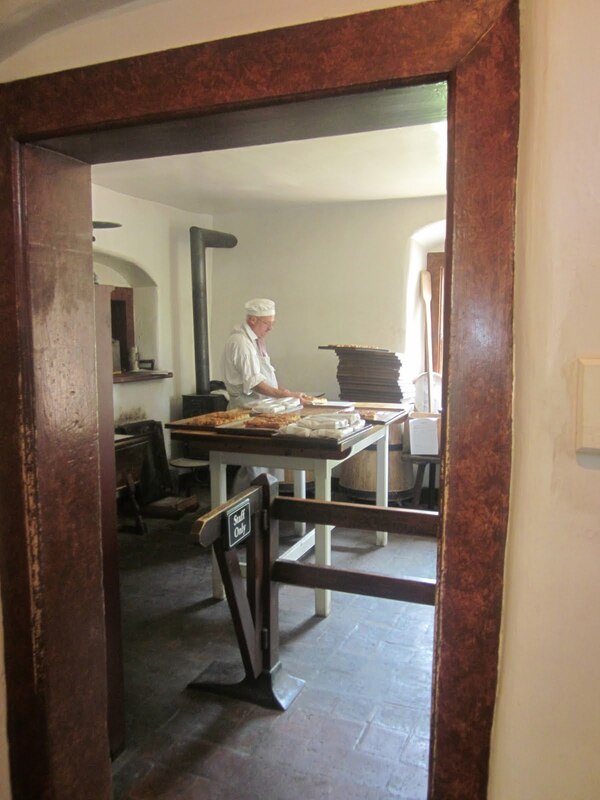 This historic town is actually a "living museum" in which the people working in the shops and the restaurants dress in historical costume like the Moravian settlers who founded the town in the 1700's - it was quite charming! Luckily, it was a beautiful day and we got to eat lunch outside - the lack of humidity was positively delightful. One of the specialties of the Old Salem Tavern just happened to be Pot Roast and came highly recommended by our server. As I had been eating my way through North Carolina for a few days already, I figured "why stop now?" It turned out to be delicious and pretty much defined the phrase "comfort food." Rebecca and I had a lovely time getting better acquainted, discussing blog-related things and watching Jasmine who was, let me just tell you, positively delightful! After lunch, we walked down to the historic Winkler Bakery that has been making baked goods for over 200 years. Jasmine got an ice cream cone and I purchased some yummy Moravian sweet bread and lemon cookies to bring back to the family. Needless to say, they were very well-received! It was such a lovely day and I'm very glad I had the opportunity to meet Rebecca and her daughter. If you enjoy good food, be sure to check out her blog "Chow and Chatter" where you can find wonderful recipes from around the world and also find out more about her many culinary endeavors including her app on iTunes. Have you had the chance to meet someone in person you originally met through blogging? 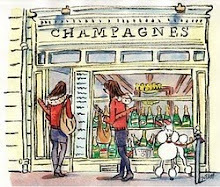 The Glamorous Gourmet on Facebook! Happy Sunday, Everyone! I hope you're all enjoying your weekend and celebrating all the fabulous Fathers out there today with some delicious meals. I am writing because I have a small favor to ask - it's painless I promise! I have just started "The Glamorous Gourmet" page on Facebook since, due to some policy I don't quite understand, I cannot change the name of my "Stephanie Savors the Moment" page. In the interest of consistency, I think this will make things easier and less confusing in the future. I plan on using the new page in much the same way as the old one, to alert readers to new blog posts, upcoming events and sharing fun food and wine facts. It's always great to get a good conversation going! By clicking the link here, you will be taken to the page and all you have to do is click "like" to sign up. I greatly appreciate you taking a minute to do this and I look forward to seeing you there! Still Savoring: "Frozen Lemon Mousse" - the Perfect Summer Dessert! With the weather heating up I can't help but think of one of my all time favorite recipes from "Savor the Moment," Frozen Lemon Mousse. This creamy, citrusy dessert is so light and refreshing it just screams Summer. Much to my surprise, I realized that I've never posted the recipe for this gem before, so voilà, my gift to you! The recipe is a little labor intensive but, it you are a lemon fan, I think you will find it entirely worth it! Garnished with fresh raspberries and a sprig of mint, this dish is so delicious your guests will be lining up for more. It also serves twelve and can keep in the freezer for up to two weeks but, I have to say, it has never lasted that long in my house. Please let me know what you think and I hope you truly enjoy this recipe as much I as have. What are your favorite Summer desserts? Combine the egg yolks, lemon juice, 1/4 cup sugar and lemon zest in a large bowl and mix well. Beat the egg whites in a medium mixing bowl until foamy. Add the cream of tartar and salt and beat until soft peaks form. Add 3/4 cup sugar gradually and beat until stiff and glossy. Whip the cream in a bowl until stiff. Fold the egg whites and whipped cream gently into the egg yolk mixture. Spoon into a bowl. Freeze, covered with foil, for 8 hours or longer. Let the mousse stand in the refrigerator for 1 to 2 hours before serving. Spoon into 12 dessert dishes and garnish with fresh raspberries or blueberries and a spring of mint. Winesday with Gary Vee: an Update from Tuscany and Sangiovese Gem! Calling all Super Tuscan fans! Check out the latest scoop from Gary Vaynerchuk on some great opportunities to stock up on your favorite wines from Tuscany. Sangiovese is the predominant grape in this region and is known for its high level of acidity, moderate tannins and rustic, savory flavors of sour cherry, spice and dried orange peel. These wines are meant to be consumed with food, so throw a Bistecca alla Fiorentina on the grill and pop the cork on a bottle of the 2007 Poliziano Vino Nobile di Montepulciano - Cin-cin! "For all you longtime Italian fans out there, you very well know that about 10 years ago, Tuscan wines were as hot as Saved by the Bell. In the last few years, popularity has waned... not only are sales down, but prices have followed suit for many high end wines, especially in the Super Tuscan and Brunello categories. But what that means is that there's opportunity... This Vino Nobile di Montepulciano brings just that! This brings opportunity for all of you Tuscan fans out there! Buy by the case, 'cause this stuff is a steal." Gary's tasting notes: Dark chocolate and top soil flavors on the nose, with a hint of mint and chocolate. This has that rustic quality you can only find in Italy, which is intriguing. Comes across even better on the palate than it did on the nose, with great structure and extremely drying. Beautiful explosion of plum and red flowers. I can see this wine lasting another 15+ years, and I highly recommend people expanding their palate with this wine. Guilty Pleasures: Fried Green Tomatoes with Smoked Bacon & Tabasco Mayonnaise! On a drive up to North Carolina last week, Steve and I decided to stay the night somewhere we had never been before, The Cloister Sea Island Resort located in coastal, southern Georgia. I had heard wonderful things about the resort recently and it just so happened to be the perfect halfway point between us and our destination. After checking in and getting settled, we schlepped our road weary bodies downstairs to the beautifully quaint and cozy River Bar adjacent to the hotel's beautiful lobby. We ordered two Cloister Cocktails, a mix of Champagne, Lillet and Grand Marnier and enjoyed them while watching the gorgeous Georgia sunset. Afterwards, we assumed our seats at the bar and sampled a delicious assortment of southern-inspired dishes. One of my favorites was the Fried Green Tomatoes with Smoked Bacon and Tabasco Mayonnaise. It arrived at the table still warm from the fryer and what's not to love about smoky bacon, spicy mayo and juicy tomatoes? So simple, yet sooo very delicious! Steve's last bite of the Fried Green Tomatoes! In addition to a delicious menu, The River Bar's wine list had many interesting selections to choose from: an Assyrtiko from Greece, an Arneis/Chardonnay blend from Italy and, the one we ordered, a 2007 Hans Wirshing Silvaner from Germany. This delightfully light and refreshing white wine had just a hint of sweetness and was a fabulous complement to the tomatoes. The sweetness of the wine balanced the heat from the Tabasco mayo and the crisp acidity cut the richness of the fried tomatoes making for a delicious example of food and wine synergy - YUM! I am already looking forward to our next visit to The Cloister and exploring it's other culinary offerings (not to mention the spa). In addition to the River Bar, the resort is home to The Georgian Room, a Forbes Five Star restaurant that features "Refined Southern" cuisine and the restaurant itself is just beautiful. Chef Daniel Zeal was nice enough to chat with me following a tour of their kitchens and remarkable wine cellar - I'll be sharing those details in a later post. 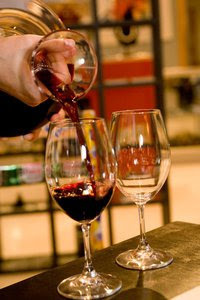 What's your favorite food and wine pairing you've enjoyed lately? Also, what are your feelings about a road trip - are you a fan or not? Winesday with Gary Vee: an Italian Red Perfect for Summer Grilling! This Winesday, Gary recommends a fabulous Italian gem to pair with your favorite grilled fare this Summer, the 2007 Il Colle Rosso di Montalcino. Gary explains, "In my most recent Daily Grape May Newsletter, I tasted a boat load of Tuscan red wines from the highly acclaimed 2006 and 2007 vintages. When people think Tuscan reds, and Italian red wine in general, they usually think of two food pairing situations - cheap Chianti with Pizza, or super expensive Brunello and Barolo with refined truffle and beef dishes. What they don't realize is that there's lots of room in between! This Rosso di Montalcino is the epitome of a "Baby Brunello," with impressive structure and depth, and a smoky component that works well with grilled foods. What it also has is an attractive price point, which makes it affordable enough to drink with burgers or flank steaks off the grill on a Tuesday." Gary's Tasting Note: Sour cranberry and raspberry notes, with some smokiness and burnt wood character. Good tannins with dark chocolate that is super rich with nice elegance and power. Reminds me of hockey player Eric Lindros in his prime! Beautiful structure that combines strength with grace. Score: 92+, $23 msrp. Gotta love a guy who can work in a hockey reference in a tasting note! Be sure to check out Gary's Daily Grape Newsletter this month and get the low down on the much-hyped 2006 and 2007 vintages from Tuscany. What dishes do you look forward to grilling this Summer? Also, speaking of hockey, who are you rooting for to win the Stanley Cup - the Bruins or the Canucks?